in case you are looking for 3D models of the two basic types of British throwers, check the lastes version of the guns_UK library. As for the Isaac Sweers, it was fitted out in the UK and had the standard outfit of fleet destroyers of 1941/42 (4 throwers, 2 rails). The original French ships had an internal rail systems for heavy depth charges and Thornycroft-type throwers. All that is included in the models done by Texelbo and also in my Le Fantasque model. The French ships serving with the Royal Navy had their equipment replaced by British material. So, try making educated guesses by comparing with similar British units. The Italian used their very own type of throwers and also specific rails. 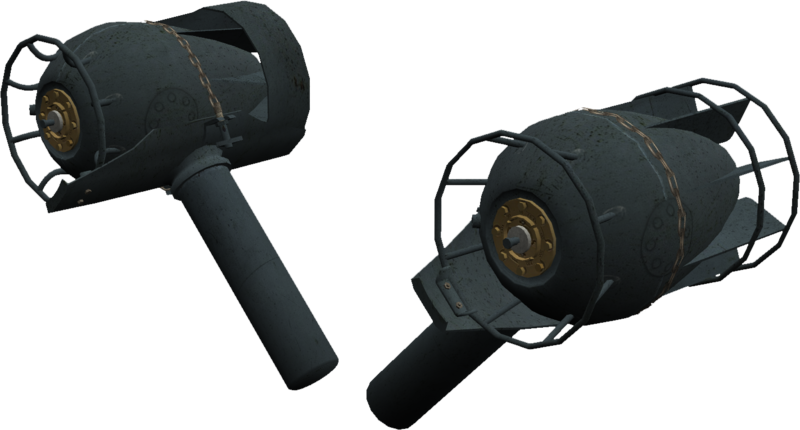 A simple model of the Italian throwers was done by JapLance for his SH4 models. Just check the libraries he provided. Wow that are really nice and useful informations! I'm implementing that information into the files and I hope that I can upload a extended file in the next few days. 1. to the Frog: Which guns_UK do you mean? Is the file supplied with your last ship? 2. to gap: I would really like to implement the Models into the files. There is only one Question: Did the Mk7 Mod2 look different from the Mk7? But if the Mod2 had any implementable improvements I'm going to implement them. Also thanks to all the replys which show me that the work isn't useless and nobody cares about it! Like we say in Germany "das geht runter wie Öl"! I am going by memory, but I think the Mk9 and the Mk9 Mod2 had slightly different explosive charges/blast radii, and I am pretty sure their sinking rates differed quite a lot. Conversely, the Mk9 and the Mk9 Mod1 shared the same characteristics. Detonation depths depended on detonators/fuzes fitted, and they can't be associated with any particular depth charge mark/mod, as they were interchangeable and new detonators were often retrofitted to older depth charge models. Information available on the web is often misleading on this point, but the US manuals that I pointed you to are quite clear on this respect. No, I mean the second modification of the Mk7, which I refer as Mod2. A redesigned Mark 4. The redesign was to simplify the construction and took advantage of new production techniques developed since the end of World War I. This was the standard depth charge for USN ships early in World War II. Mod 1 (issued in August 1942) increased the maximum depth setting to 600 feet (183 m). A later version reduced the warhead to 400 lbs. (181.4 kg) TNT in order to add a lead weight which increased the sink rate to 13 fps (4 mps). The part from "A later version..." I think is refering to the Mod2. I have never heard from that, but I will search about that. Last edited by padi; 07-19-2017 at 08:07 AM. Reason: Quoting which is not possible on the mobile site. Oh, you are talking about the British MkVII. 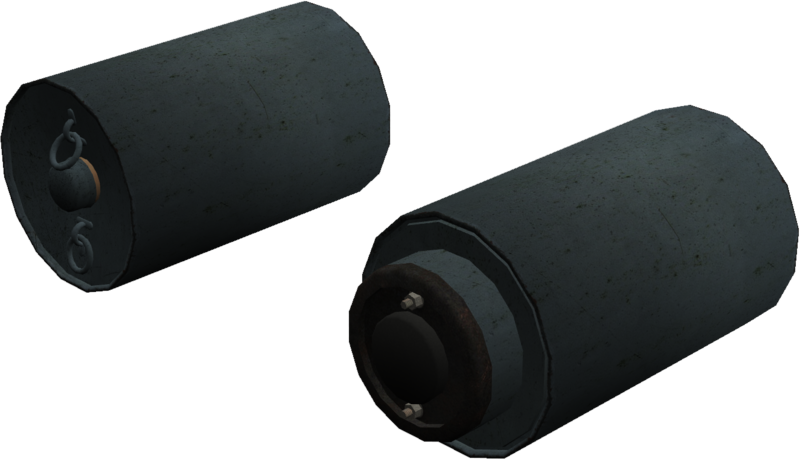 The usage of the same mark numbers for different depth charges by the Americans and by the English, is a bit misleading. British DC's were designated with roman numbers though, whereas for US DC's arabic numbers were used instead. Oh, you are talking about the British MkVII. 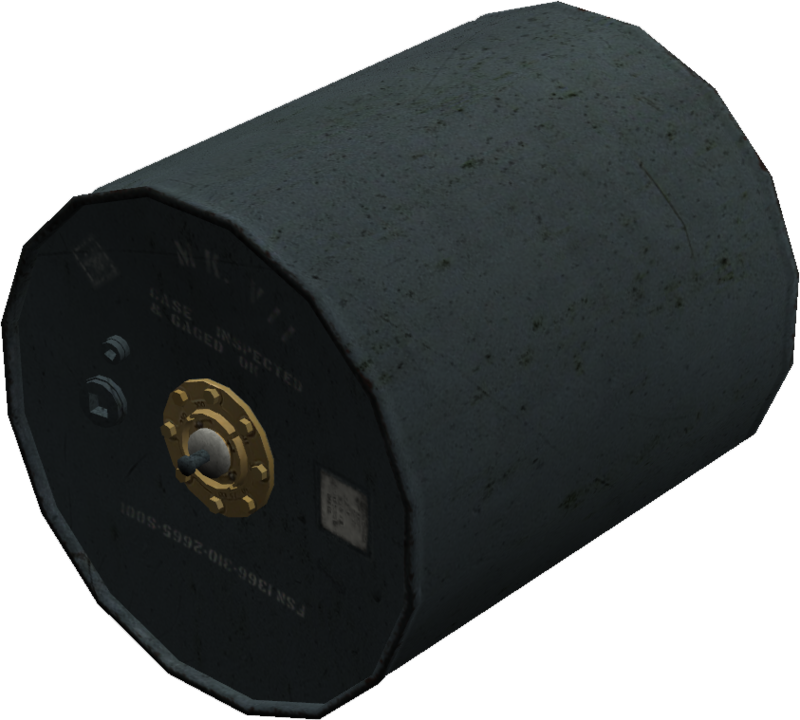 The usage of the same mark numbers for different depth charges by the Americans and by the English, is a bit misleading. British DC's were designeted with roman numbers though, whereas in the States arabic numbers were used instead. No, I´m talking about the american Mark 7 DC and not the british Mark VII! As written here http://www.navweaps.com/Weapons/WAMUS_ASW.php the Mark 7 had at least two modification intervals and because of that I named the second modification interval Mod 2, even if this name is not written, but what should you name it else? "A redesigned Mk 4 and standard in the earlier part of the war. Total weight was 768lb (348kg), charge 600lb (272kg), sinking speed 9f/s (2.7m/s) and depth 30-300ft (9-91m) increased in Mod 1 (issued in August 1942) to 600ft (183m). Versions with lead weight had a sinking speed of about 13f/s (4m/s)"
That's all. I have also checked this ordnance pamphlet by the Bureau of Ordnance, but nowhere in it these 'lead weight versions' are mentioned. The document is dated December 1943. Either the heavy Mk7 entered service after that date, or it was seldomly used. Let me know if you find any extra information. In the meanwhile we can only assume that, unlike the British Mk VII-Heavy, the US depth charge with the same number had the lead weight fitted internally, and that the heavy version of it had the same external appearance as its standard-weight mods. The lead weight being internal, seems to be confirmed by the fact that the explosive charge had to be reduced in order to make space for the extra weight, as reported by navweaps. That models are so nice! I can't wait to have that models implemented! After the conversation I think that I will also implement the Mk 9 Mod 1 but for first with estimated ratings, but they are changed later. Last edited by Anvar1061; 07-19-2017 at 12:41 PM. Another prophecy on when the next end of the world is to be expected?